An online business thrives and survives based on their traffic. The more traffic you have, the more potential customers you have. And the more customers you have…Yep! The more profits you’ll earn. However, you don’t always want to have to spend an arm and a leg to gain traffic. Here are seven cost-effective ways to increase traffic to your website. Social networking is free. It costs time and energy; however, there’s little else to do on a social networking site except interact. And that’s how you drive traffic. Whether you’re using a Facebook fan page, a Twitter page, LinkedIn or another social networking site, the key is interaction. Create a compelling profile. Interact, share and comment. Then when it’s appropriate, post links to your website and website content. 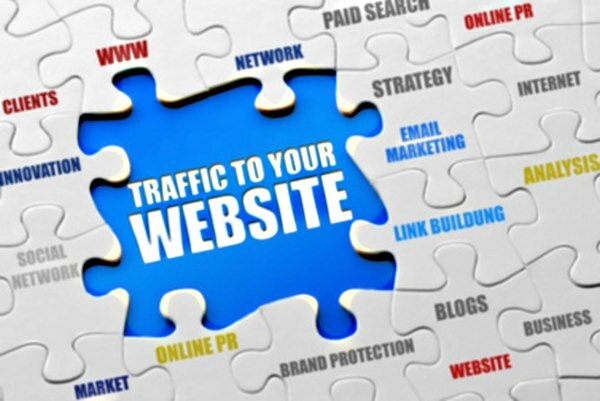 You will drive traffic to your site. You’d be surprised to find out how much traffic a blog comment can generate. Subscribe to industry blogs. When appropriate and relevant, comment on new blog posts. Be sure to register with the site and to include a link to your website. Fellow commenters are sure to visit your website, as are other blog readers. It’s a great way to drive traffic. Of course, make sure your comments represent you and your business effectively. Publishing is still one of the best ways to drive traffic to your website. Publish on article directories. Publish on other people’s websites. Publish in print and online magazines. And syndicate your website content – this will help it get published all over the web. Each time someone reads something you’ve published, they’ll visit your website. Blogging is similar to publishing. However, in addition to posting to your own blog, try to become a guest blogger. Write posts for other relevant blogs. And be sure to link to your website in your profile or author’s resource box. While the above four tactics are free, giveaways aren’t. You can give away free content like a downloadable report or online course. You can also give away something that’ll generate a lot of attention, like a Kindle or an iPad. Make sure, however, that your giveaway is related to your niche. When you’re giving something away, be sure to promote it. Spread the word on social networking sites. Blog about it. Ask others to share the link. Advertising is not free either. However, if you handle a campaign strategically it can be very cost effective. If you’re using this tactic to drive traffic, make sure you’re sending visitors to a specific page. For example, send them to a sales page or an opt-in page. This way you can track results and keep a tight hold on your budget. Starting an affiliate program can take time, but it doesn’t have to cost a lot of money. Affiliates can send traffic your direction. You only pay when their traffic results in a conversion. It’s extremely cost effective. Generating traffic doesn’t have to be expensive. 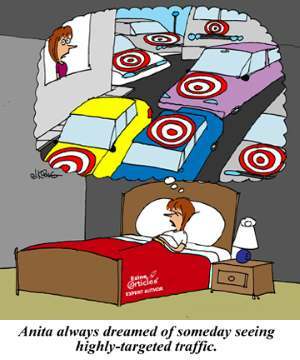 Before you implement any new tactic, create goals and a plan to achieve them. Test and track for success. Repeat any and all successes.